They’re fast, stealthy, and, yeah, a little scary. A gray wolf can run 40 miles per hour in pursuit of prey, and their jaws can exert a pressure of 400 pounds per square inch. But at the same time they are one of the most human-like of species in terms of social structures, forming wolf-packs similar to our extended families. This once-endangered species was reintroduced to Yellowstone in 1995; since then their numbers have risen to an estimated 100. Winter, when wolves are more easily spotted against Yellowstone’s snow-covered landscape, is the time to see them—even if daytime temps can dip to near zero. 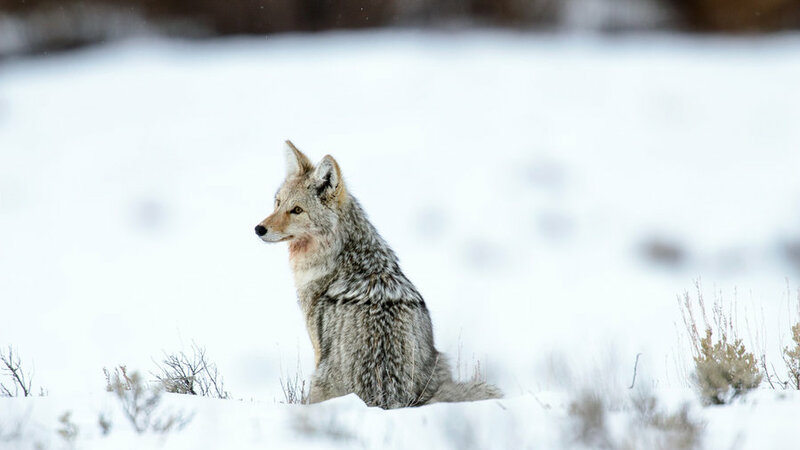 The best way to wolf-watch is to join one of the Yellowstone Association’s excellent winter wolf programs. Why waste your time watching Shark Week or Sharknado 4 when you can practically take a selfie with the real thing? 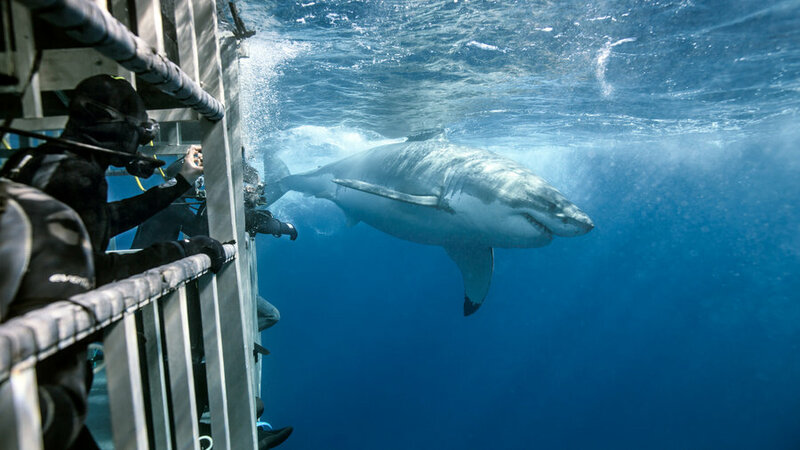 Mexico’s Guadalupe Island, off the coast of Baja California and just a day’s cruise from San Diego, has become the world capital of commercial great white watching, largely because the island’s population of seals draws a substantial number of the ocean’s apex predator. Once you arrive at Guadalupe, you’ll climb into a sturdy—really sturdy, they promise–metal cage and hooked up to a hose attached to an oxygen tank on deck. The cage and you are then lowered into the shark-filled water. And then it’s show time. Animals don’t have to be badass to be magnificent. 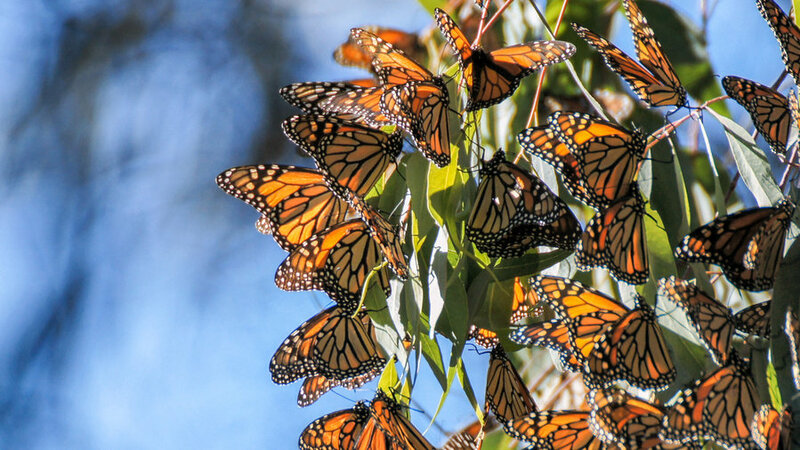 As monarch butterflies make their annual fall migration down the California coast, they form brilliant orange and black clouds that gather in spots such as Santa Cruz’s Natural Bridges State Beach, Morro Bay State Park, and the most famous butterfly refuge of all, the Monterey Peninsula’s Pacific Grove, where you can even stay at the Butterfly Grove Inn. They’re big—a male northern elephant seal can weigh as much as 3 tons. No wonder other animals don’t mess with them–their only natural predators are killer whales and sharks. And they can be a little touchy—fall breeding season commences with brutal battles between males to determine the right to mate with females. But these enormous pinnipeds are crowd pleasers, drawing throngs during their fall and winter breeding season. 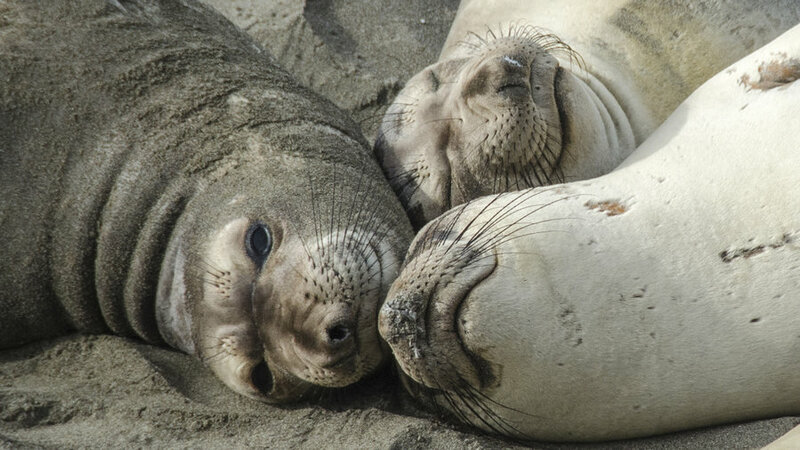 The most famous colony is at Año Nuevo State Reserve on the San Mateo County coast; you’ll need to book a reservation to see the seals. Another good spot is Piedras Blancas, just north of Hearst Castle on the San Luis Obispo County coast. Weighing as much as 700 pounds, with formidable teeth and claws, the brown bear (usually called the grizzly in the Lower 48 states) represents the wild essence of Alaska. Seeing brown bears scooping up salmon from an Alaska streamcan be one of the peak experiences of your life. And it can be done safely. One of the best spots for bear-watching is Admiralty Island, south of Juneau, home to some 1,500 bears. They’re viewable at the Pack Creek Viewing Area; you can visit it on your own via charter flight or on guided tours. 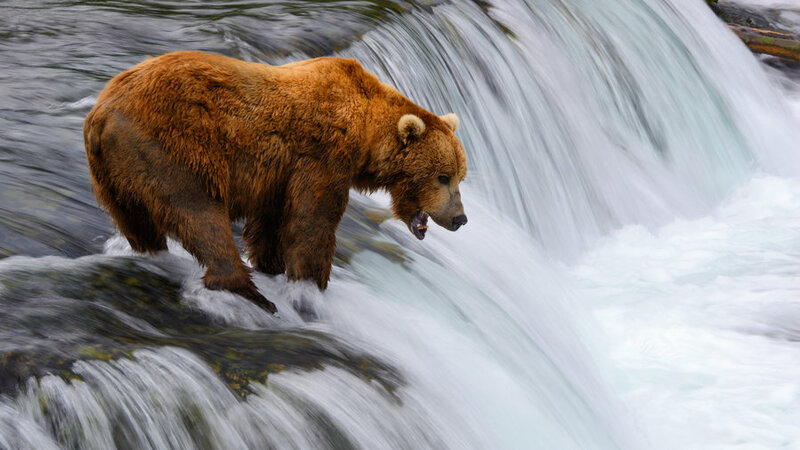 For more Alaska bear viewing, head to Katmai National Park, where Brooks Falls is maybe the most famous bear-viewing spot in the world. With its graceful sillouette and tasteful gray feathers, the sandhill may be the most elegant bird in the world. The cranes are also some of the most fun to watch, especially when they perform the ecstatic leaping dances they’re famous for. Once nearly extinct in North America, sandhill cranes have bounced back nicely thanks to efforts at restoring the wetland habitat they need to survive. One of the best places to see them is at New Mexico’s Bosque del Apache National Wildlife Refuge, where as many as 14,000 cranes gather during winter months. 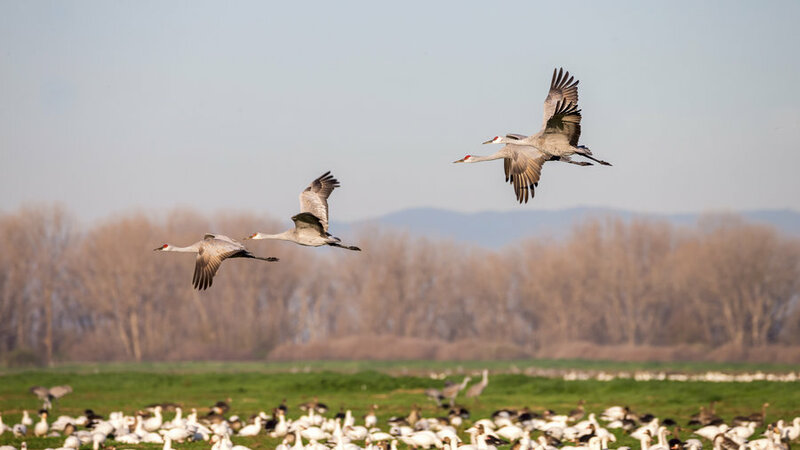 Another good spot: the wildlife refuges around Lodi, California, which even stages its own Sandhill Crane Festival every November. These days Jackson Hole, Wyoming, may be better known for multi-million dollar, celebrity-owned ranches, posh shopping, and $500-a-night resorts. But if you want to be really wowed, visit the area’s most spectacular original inhabitant: the majestic elk of the National Elk Refuge, just outside of town. 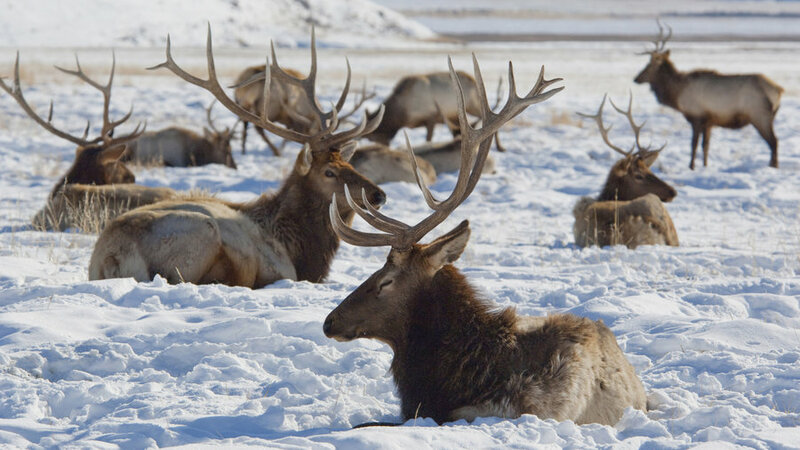 As many as 11,000 elk spend the winter here (they disperse to other parts of Western Wyoming the rest of the year) and can be seen on guided tours—even on horse-drawn sleight rides. Koholas, they call them in Hawaii. 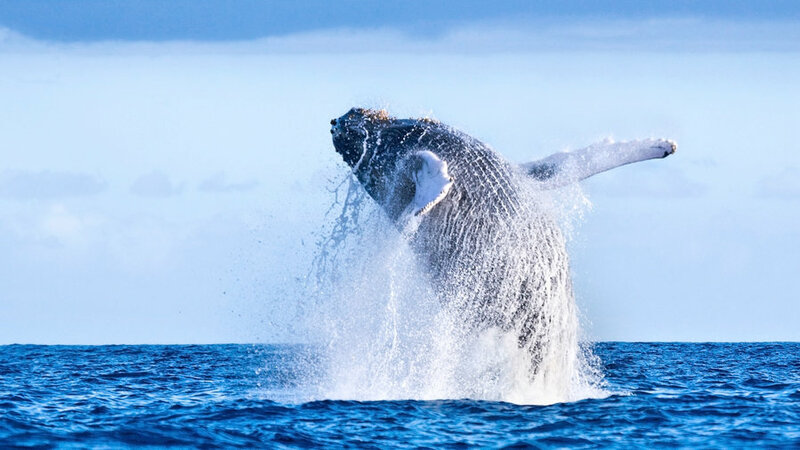 The rest of us may say humpback whales, but we like the Hawaiian word because the islands are among the best places in the world to watch these 45-ton oceanic giants. It’s estimated that as many as two-thirds of the North Pacific’s humpbacks return to Hawaii each winter to breed, calve, and nurse their young. The best place to see them is the Auau Channel between West Maui, Lanai and Molokai. Numerous whale watching tours leave from Lahaina. And the Maui Ocean Center is a great place to gain an even greater appreciation for the magnificent creatures. Think of the Pacific Flyway as the bird version of Interstate 5–a 4,000-mile long route traveled by hundreds and thousands of ducks and geese migrating south for the winter, some starting in the Arctic and travelling as far south as Mexico. Then think of the wildlife refuges of California’s Sacramento Valley as a kind of giant In-And-Out Burger: a prime spot for birds to eat and rest before continuing onward. (Although, in truth, some birds stay the whole winter, which you can’t ordinarily do at In-And-Out.) Seeing these enormous skeins of waterfowl gliding across the autumn sky is an experience you will never forget. 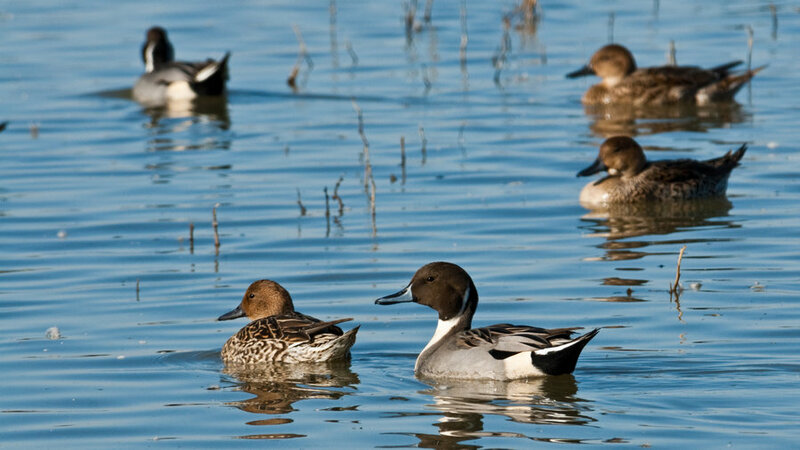 Waterfowl populations generally peak in November. Favored spots for the birds and the people who watch them include the Sacramento, Colusa, and Lower Klamath national wildlife refuges. It’s a Halloween-worthy show you don’t have to wait for Halloween to shiver at. 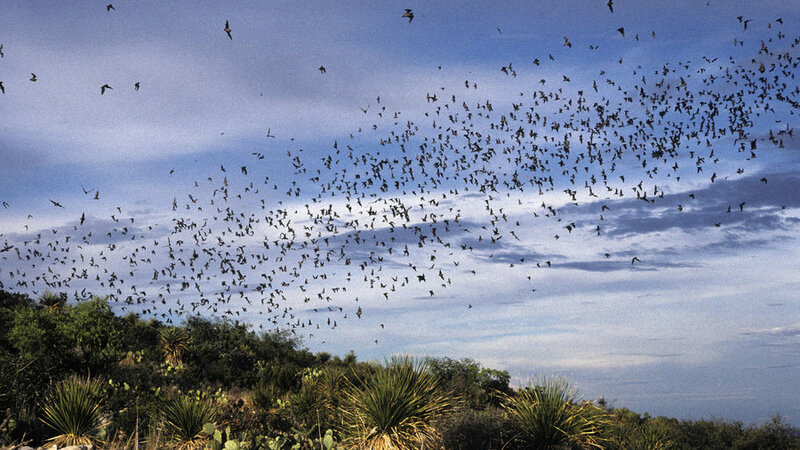 Every evening at dusk, from June through October, hundreds of thousands of bats—Mexican free-tailed bats, to be specific—pour out of their home cave at Carlsbad Caverns National Park and dance across the New Mexican sky. Even better, the park service makes it easy to appreciate the spectacle. They’ve built a special Bat Amphitheater, where you can sit and await for the little guys to take flight. Want even more bats? Take the short, easy 1.25-mile hike on the Natural Entrance Tour, which will take you to the bats’ front door. Wood bison were declared extinct less than a century ago. Now, for the first time in living memory, the shaggy behemoths are wandering the Alaska wilderness, free. 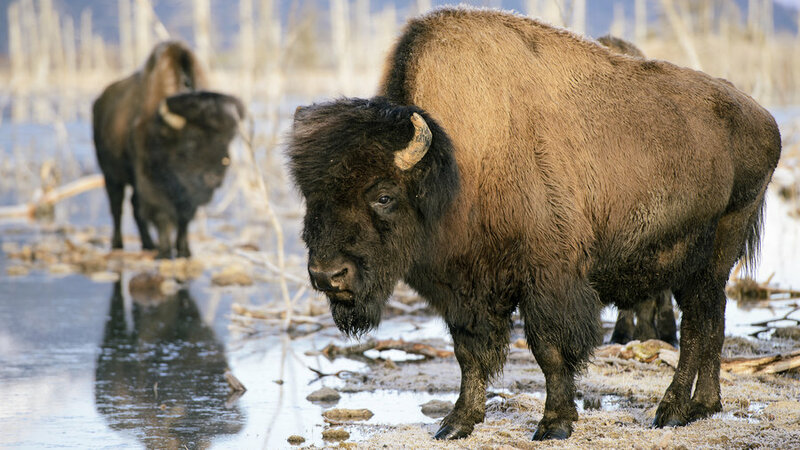 To find wood bison in Alaska, visit the remnant herd at the Alaska Wildlife Conservation Center. The facility, about an hour south of Anchorage, hosts bears, moose, and musk oxen too. $13; alaskawildlife.org.